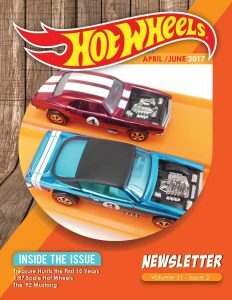 The latest issue of the Hot Wheels Newsletter Issue 31-2 is out. Now in full color and contains the the 31st Hot Wheels Collectors Convention ticket form. Newsletter souvenir car done by Chris Stangler’s Customs.